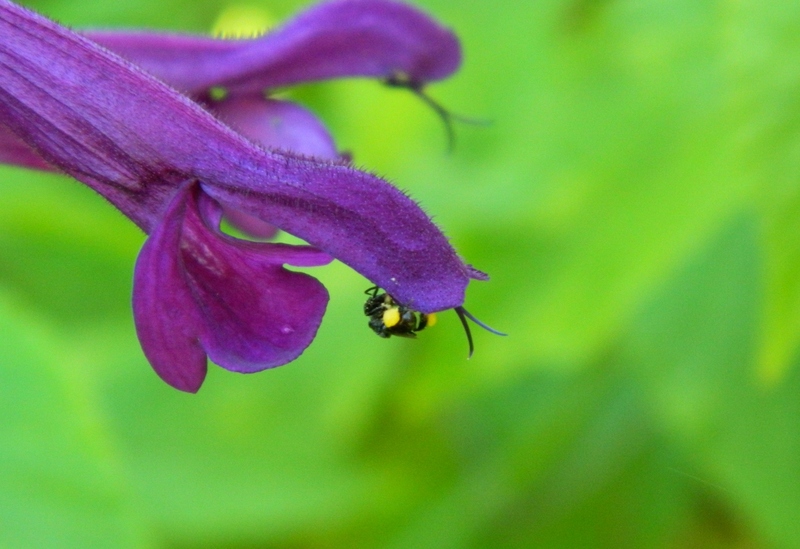 I should have read the label more carefully when I bought this beautiful Black Knight salvia. But I didn’t and consequently planted it in the wrong spot. 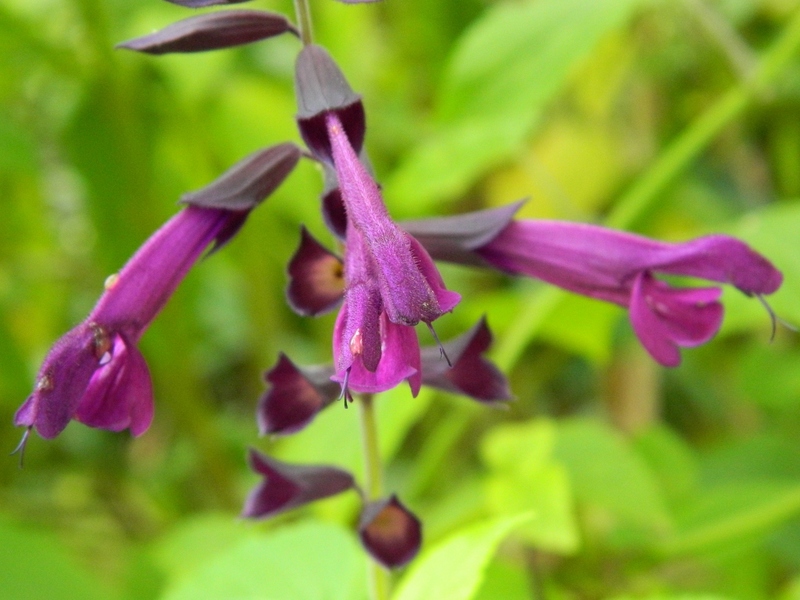 I read that it flowers for most of the year, but I missed the bit where it said – grows to three metres! I’m going to propagate from it and plant the offspring in a more suitable spot, but in the meantime I put up with it blocking part of a path because it’s a bee magnet. Almost any time of the day I see native stingless bees buzzing around. And only recently, I realized that what I thought were large flies scooting around the garden, are actually native Blue Banded bees. They are an absolute B…… to photograph because they hover and dart like a manic helicopter. 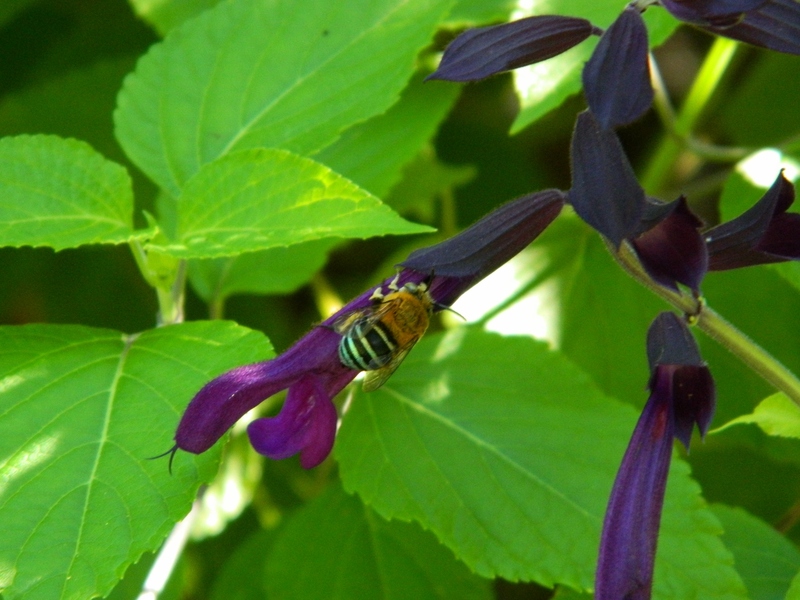 Blue Banded bees are buzz pollinators and they carry the pollen on their backs. 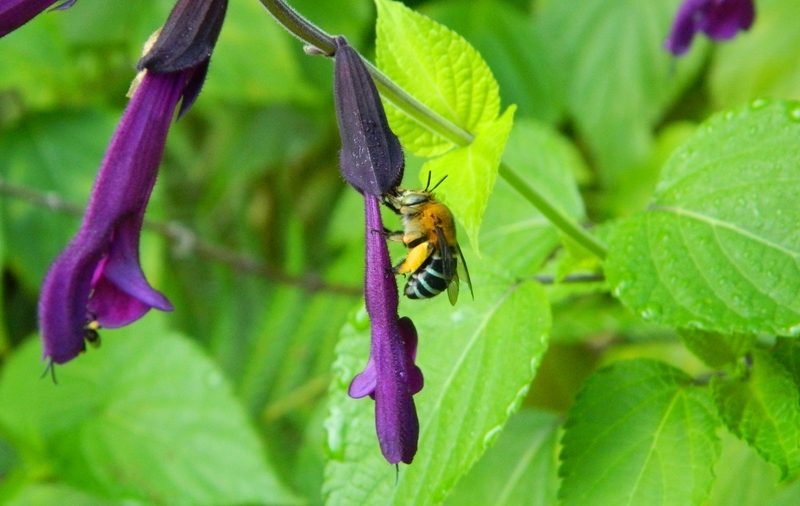 If you are growing tomatoes, eggplants, kiwi fruit, chillies or blueberries the Blue Banded is the bee for you because apparently buzz pollination is the most efficient way to pollinate.